Ratio of inclusive to decay photon cross sections extracted from the dielectron spectra measured in \pp collisions at \roots = 7\,TeV. 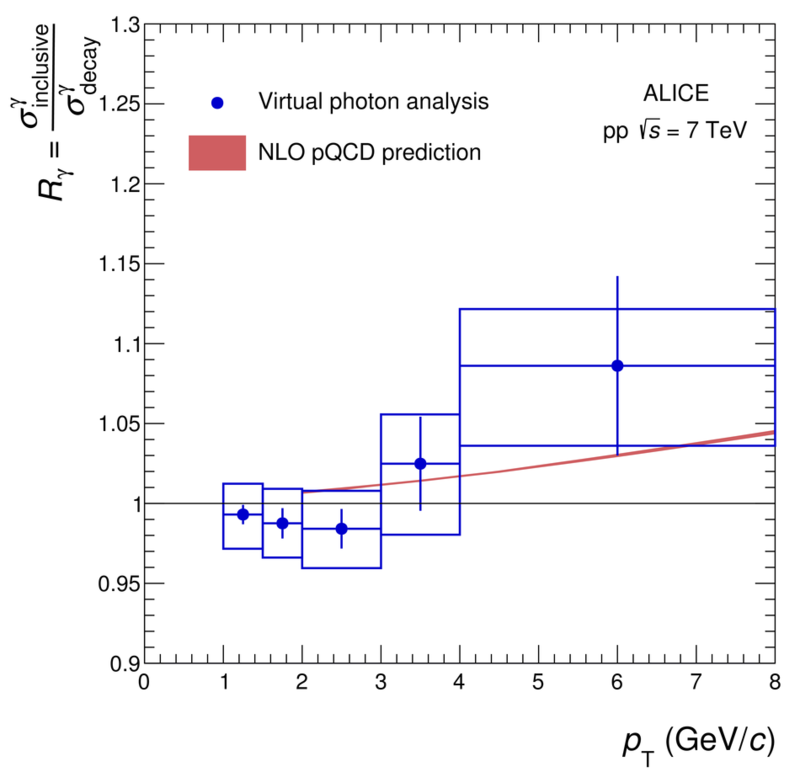 The results are compared with NLO pQCD calculations~. Statistical and systematic uncertainties are shown as vertical bars and boxes for the data, respectively, and as a band for the NLO pQCD calculations.